RapidIT Cloud Solutions will accelerate your processes, increase transparency and improve your business performance. 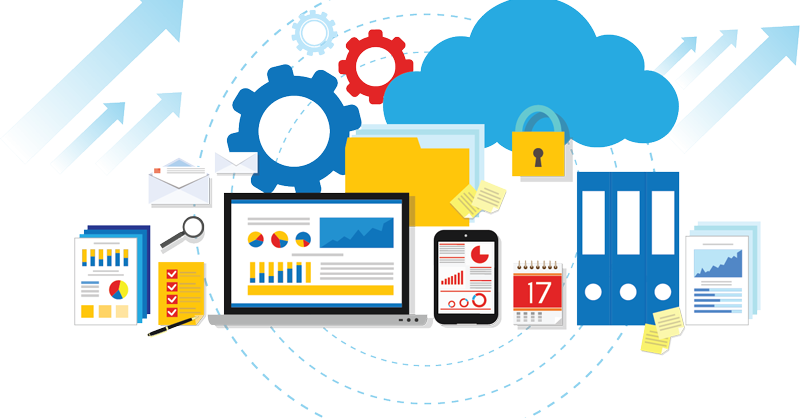 We can provide strategy, design, operational support and innovative solutions that can modernise your legacy infrastructure into RapidIT Cloud. we will help you choose the best cloud technologies and map out a strategy for your business that will:.accelerate the journey to the cloud, transform IT and reduce operational costs. Organizations are migrating away from on-premise infrastructure to hybrid, or pure cloud infrastructure. RapidIT enables this by enabling organizations to integrate applications across on-premise and cloud, and even leverage multiple public cloud platforms simultaneously. Though the cloud is cheaper than on-premise, with the rapid scale, you can easily exceed spend limits. RapidIT can take a deep look at your current cloud spending and suggest changes that can cut your bills by as much as 50%. All this without compromising on performance. While data is safer in the cloud than a hardware server, data loss is still a threat. By following best practices to secure your data, sufficiently back them up, and provision disaster recovery options you can ensure that your organization’s most valuable asset - its data - is always protected and available for use. Merely integrating Dev & Ops teams doesn’t make you a DevOps organization. You need to put security first and adopt the more advanced DevSecOps approach. RapidIT has helped numerous organizations migrate to a DevSecOps model, and has achieved great gains for its customers. Whether you want to build an end-to-end IoT system in-house or leverage an IoT PaaS platform, RapidIT can get you up and running with IoT. From leveraging Hadoop for big data analysis, or deriving meaning from unstructured data, RapidIT can help you get more from your organization’s big data. How you store, process, and use your databases is critical to the performance of your applications. RapidIT can optimize your databases whether SQL or NoSQL and ensure you get maximum performance. Adding AI to applications is not longer restricted to the largest web companies. Every company can leverage AI, and RapidIT makes this a reality for its customers.